Between 1976 and 1978 I was campaigns organiser for Compassion In World Farming. My duties included representing Compassion at various events, organising local groups, public speaking, and producing newsletters and other public educational materials. As Compassion’s second full-time employee, I was very fortunate to work directly with its co-founder, Peter Roberts, who I learned a great deal from. Please read my book, Growl (Lantern Books), for more on my animal advocacy. This photo was taken by Marian and Ray Garnett at an event organised by the RSPCA’s Southall branch. 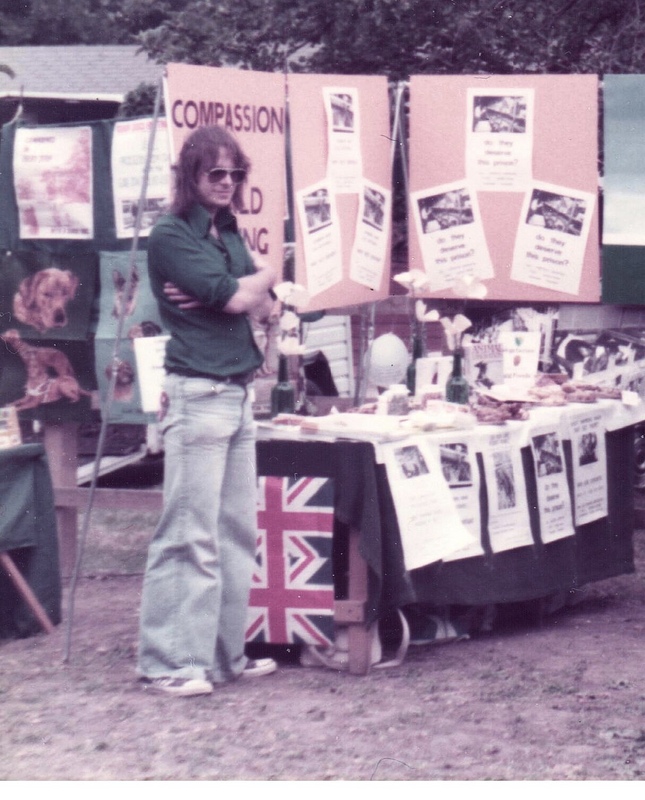 Here I am with hair, sunglasses, and flared jeans representing Compassion. 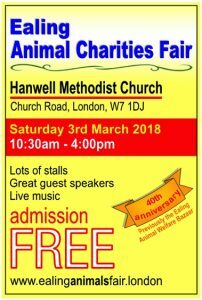 I also recall from this time tabling for Compassion at a similar event produced by the RSCPA’s Chertsey Branch where I met the actor, Brian Blessed, who lived nearby with many rescued animals. 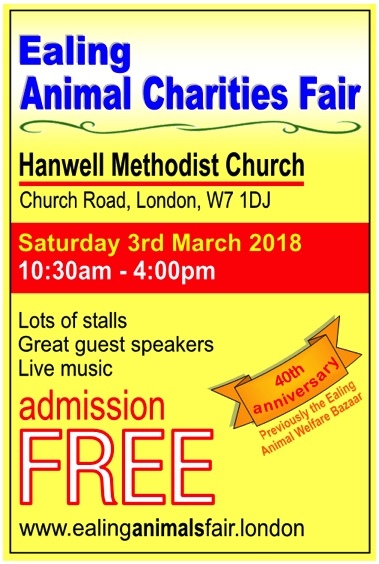 The Ealing Animal Charities Fair is at the Hanwell Methodist Church, Church Road, London W7 1DJ from 10:30am to 4pm.